OMG, a celebrity got a hair cut and it wasn't a LOB! This is news! You know how Katy Perry has always been known for her looong, black locks? Like this? Well, the singer uploaded a new selfie on Instagram on April 1—debuting her new crop cut, which she called the "Kris Jenner." 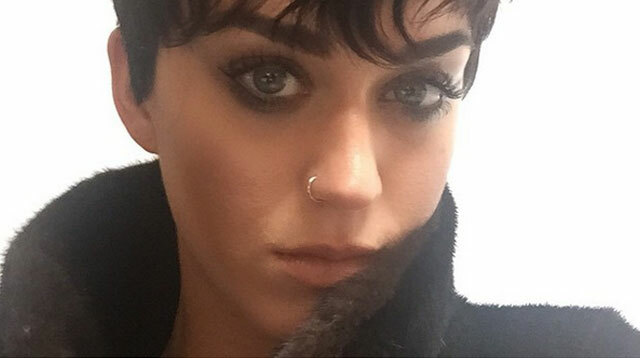 TBH, we're not sure if Katy really did chop her locks or if this is some April Fool's prank. I mean, seriously, the girl has gone from blue hair to green hair to purple hair to blonde to black, so we won't be surprised if this is just one of those spur-of-the-moment things, and she just decided to wear a wig. We're hoping it isn't though, because the girl looks good with a pixie cut. Agree?